Make custom wine labels for weddings, birthdays, holiday parties, corporate gifts, or for your own brand of wine. 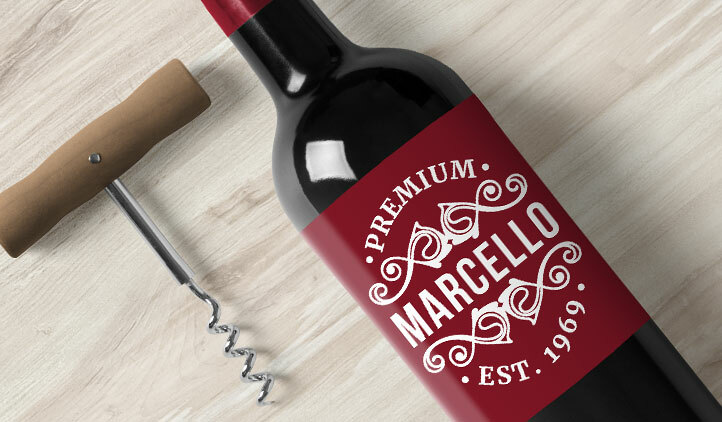 Upload your logo, photo, or choose from our designs to add a special personalized touch to your wine bottles. Make personalized wine labels for your own brand of wine, or make custom labels for a unique personalized gift for weddings, birthdays, charity events, or holiday gifts. 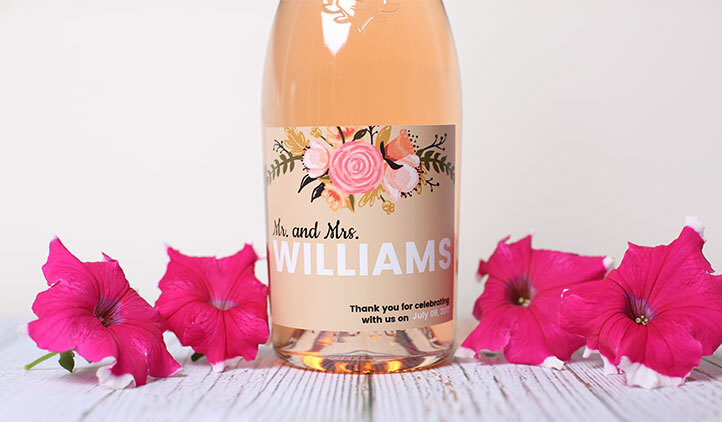 For a special way to ask your bridesmaids to be a part of your wedding, label any wine with a custom label that includes photos and a personalized message for each friend. If you want to add an extra special touch, make labels for personalized wine glasses to go with the wine. For your wedding or any special event, make labels indicating the table number for one side of the bottle, and the dinner menu on the other for an easy and unique signage piece. StickerYou’s wine labels are made of high quality, glossy vinyl material. They are water resistant, and will stick strong and last long on your bottles. Whether it's red, white, or even rosé, StickerYou has a label to fit any bottle! Wine - sweet, sweet heaven water in a bottle (or box, depending on which trailer park you live in). Or so we've heard. 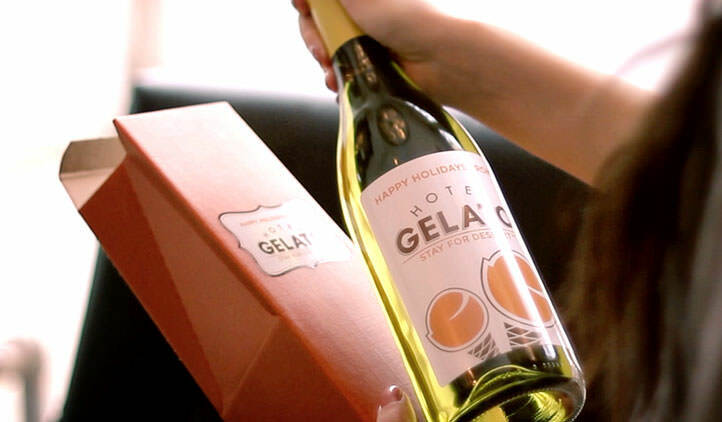 The custom of giving wine as gifts has spanned centuries, and is ever more popular today. 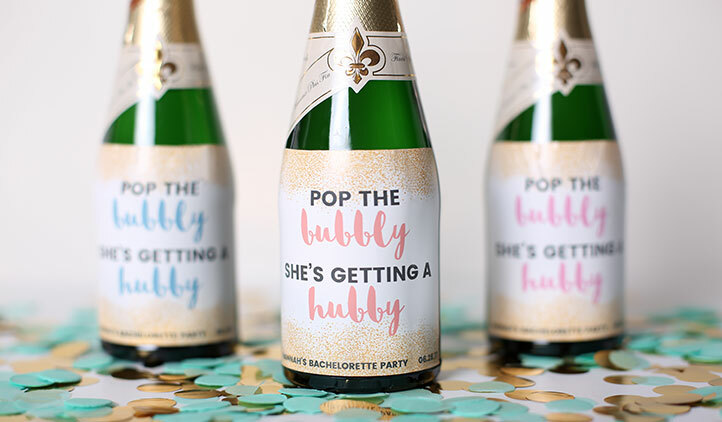 You'll want to raise your glasses to this great idea that is both fun and practical: Custom Wine Labels! Custom stickers and labels are just some of the products we create for our clients. Our customers always say to us, "well they look pretty, but will they last?"